healing scars. I found this and thought u guys would of like it.. HD Wallpaper and background images in the Zuko and Katara club tagged: zutara 4eva!. This Zuko and Katara photo might contain anime, banda desenhada, manga, desenhos animados, mangá, and quadrinhos. 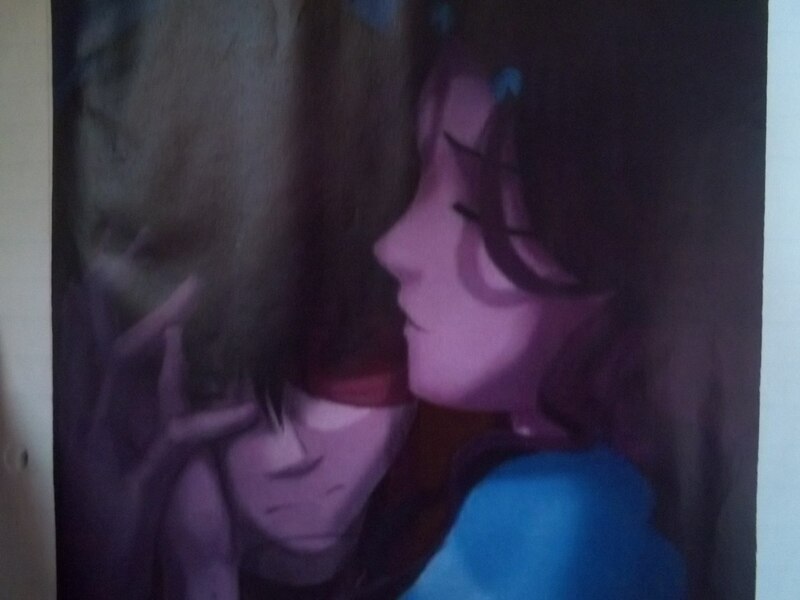 one of the more intensely emotional and intimate depictions of Zuko and Katara - nice. I copied this same pic off of DeviantArt the other day and posted under "Fan Art" photoshopped to lighten the image, left the artist's watermark on it but you can still see more detail. The aritst was concerned that the hands weren't right...they're perfect, she captured an intimate moment between these two perfectly. That is so cute!!!!!!!!!! I wish tht happened in the show!